If you like my page on facebook or follow me on twitter you must have seen my previous complaints about my black forest cake backfiring. It got so bad that I decided not to try again. 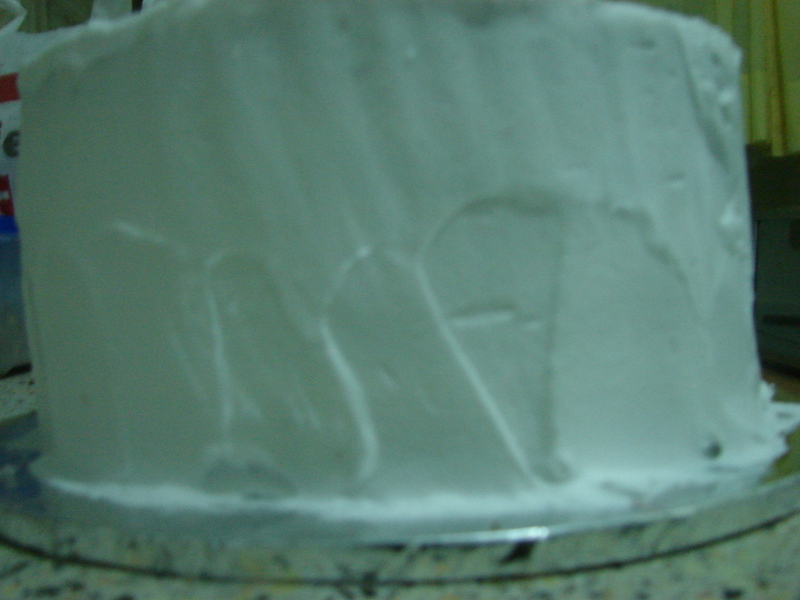 I resulted in getting my brother to bake the cake then I do the frosting. This past weekend we were having a bridal for a good friend of mine and I offered to bring a black forest cake. At first I had requested my brother to do the baking but on second thought I decided to ask him for his recipe. I needed to face my fears. I normally hate it when cakes back fire, though my friends think otherwise since they enjoy eating my backfired cakes, ha! This recipe is a bit different from others that I have tried. The great thing is that it worked. Before I go on, be warned this will be a very long post full of many photos so if you are yet to have lunch I suggest you eat first :-). Oh and another thing, making a black forest is a bit tedious, not the baking part but the layering and frosting so patience is key. Start with baking the cake. Pre heat the oven at 180°C. Grease the baking tins and line them with grease proof paper. 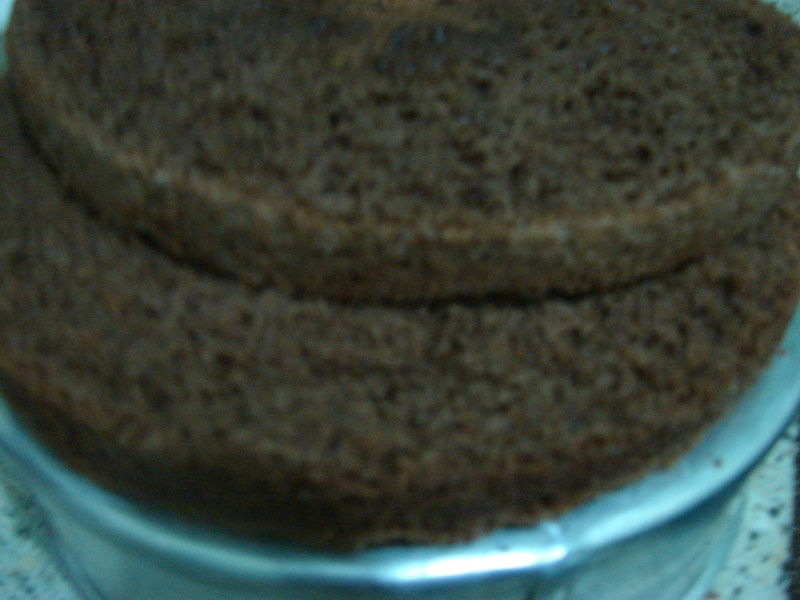 I used 2 9 inch round tins since I wanted the cake to have four layers. Baking this cake is pretty easy since you just dump in all the ingredients then using an electric mixer you combine the ingredients and the cake batter is ready. 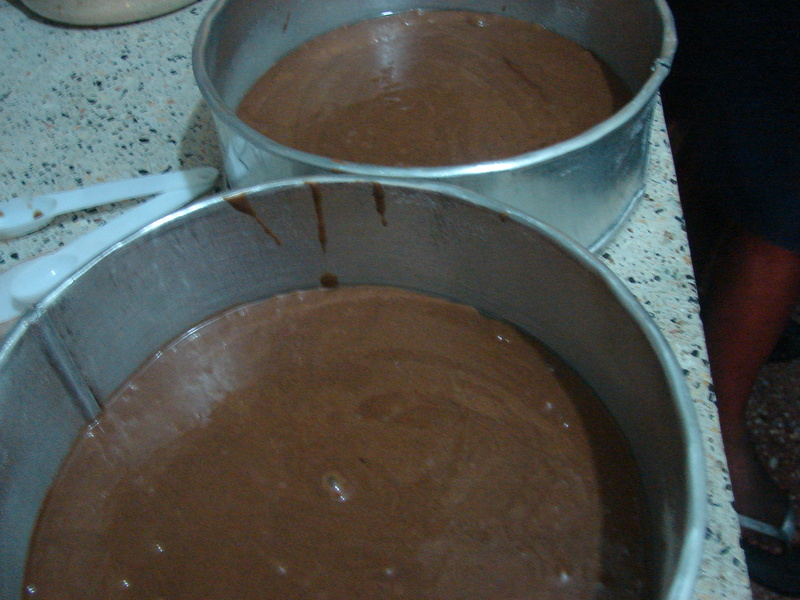 Divide the batter between the two tins. Ensure they are more or less the same. 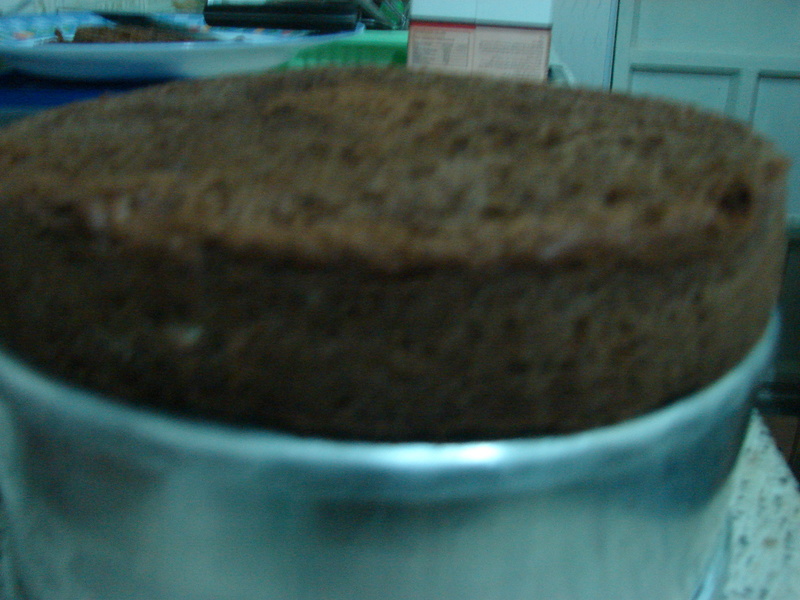 Bake for twenty minutes or until a toothpick inserted in the centre of the cake comes out clean. I said a prayer as I put the cakes in. Excitement!!! I was jumping up and down. The cakes had not backfired. Thank you God. 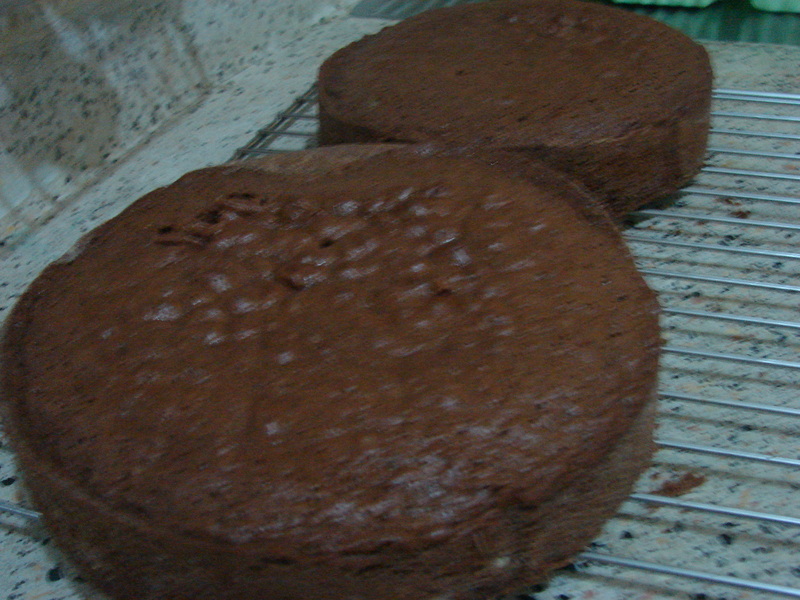 Let the cakes cool for about ten minutes then remove them from the tins to cool further. It’s advisable to let the cakes cool completely, this will come in handy when layering the cake. The crumbs won’t be as many. I wrapped my cakes in clear cling film them I put then in the fridge. Take one cake, I put mine on top of an overturned baking tin. This is to aid in layering the cake. 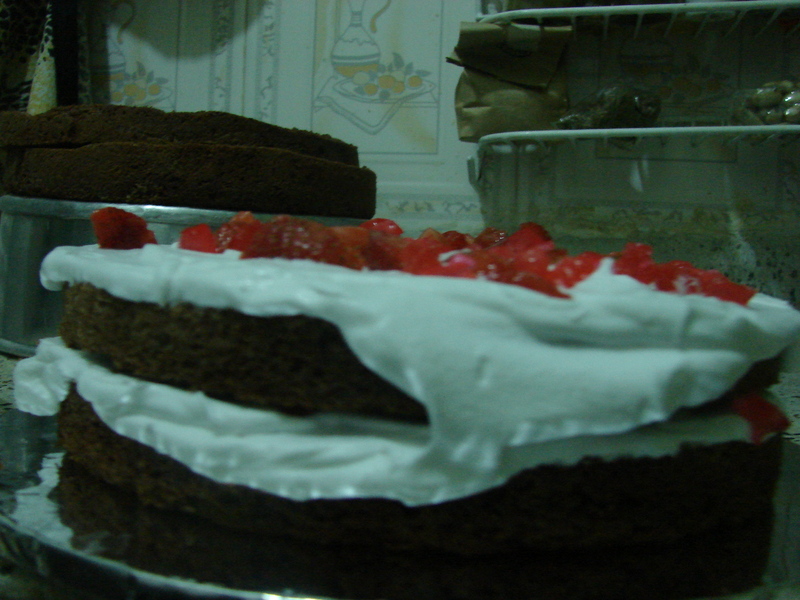 Start by leveling the cake. 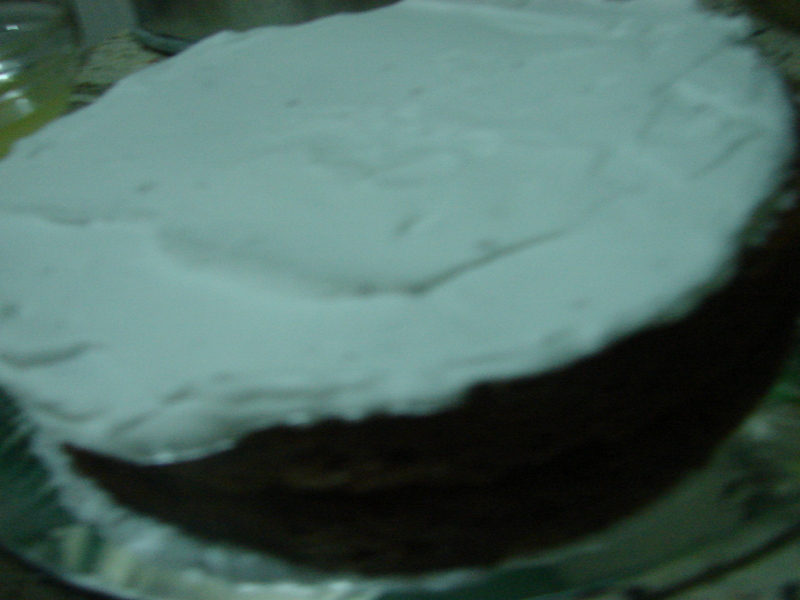 Then slice the cake in half to form two almost equal layers. Repeat the above steps for the second cake. 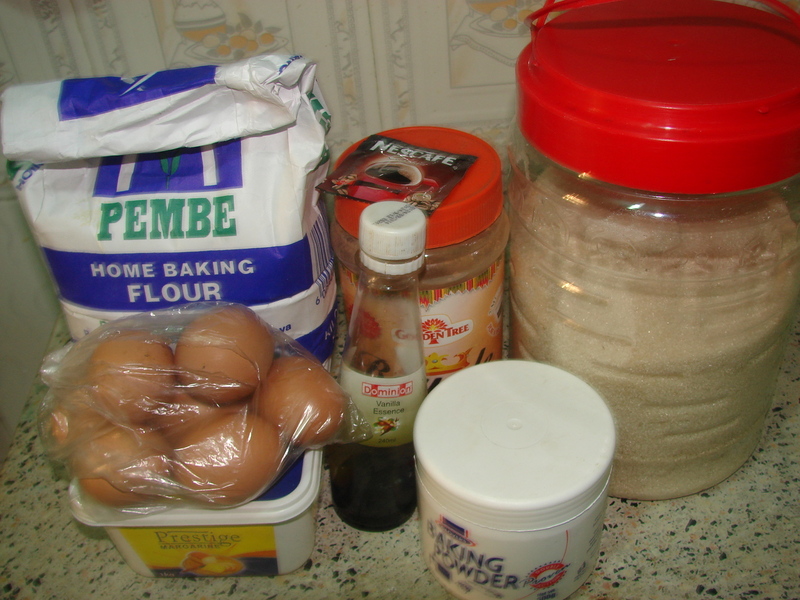 To make the sugar water, combine the icing sugar, water and juice if using. I used some orange juice that I had in the fridge. 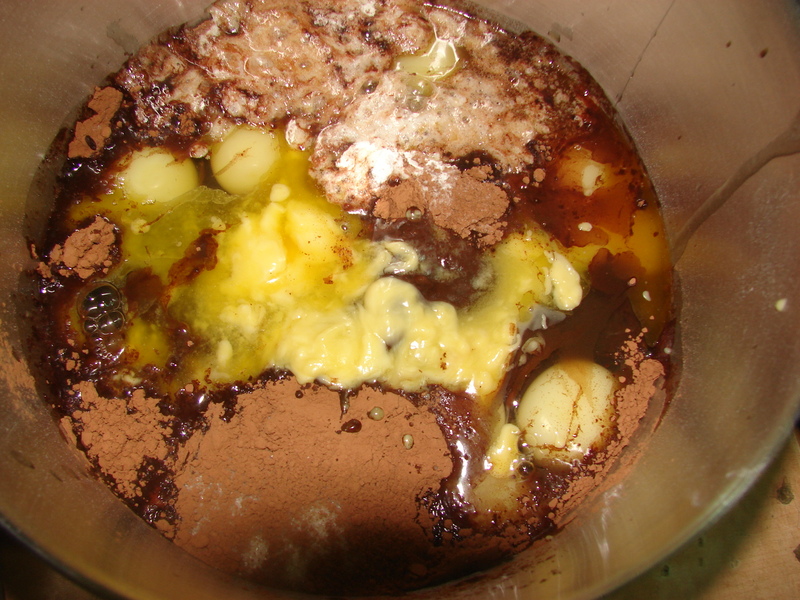 For the extra kick I guess you can put a tablespoon of rum in the mixture instead of juice. 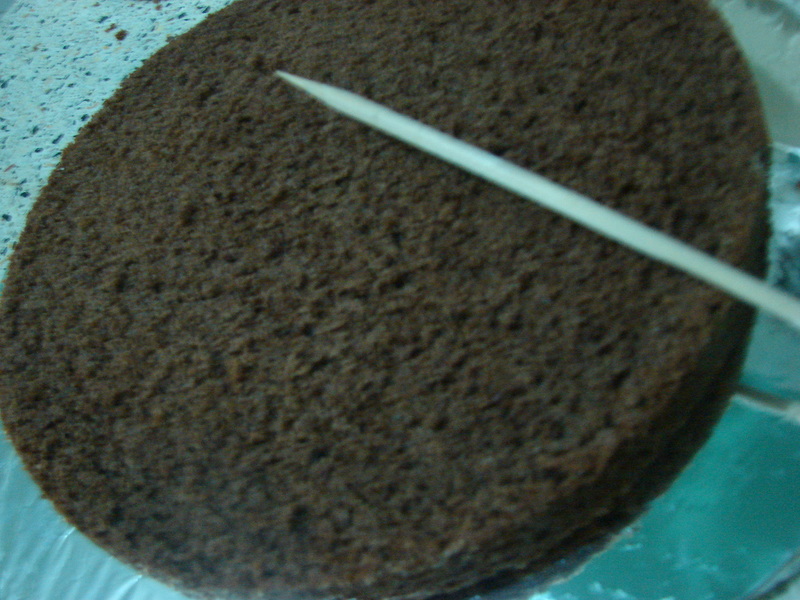 Place the bottom layer of the cake on a board, then using a wooden skewer or toothpick poke the surface of the cake. 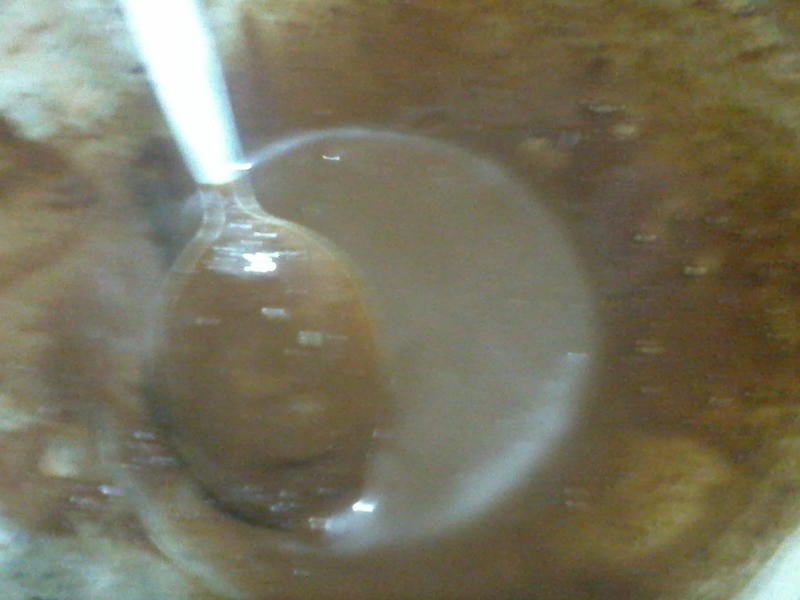 Then drizzle about a tablespoon of the sugar water over the cake. This will feed the cake to ensure it continues to be moist and spongy. 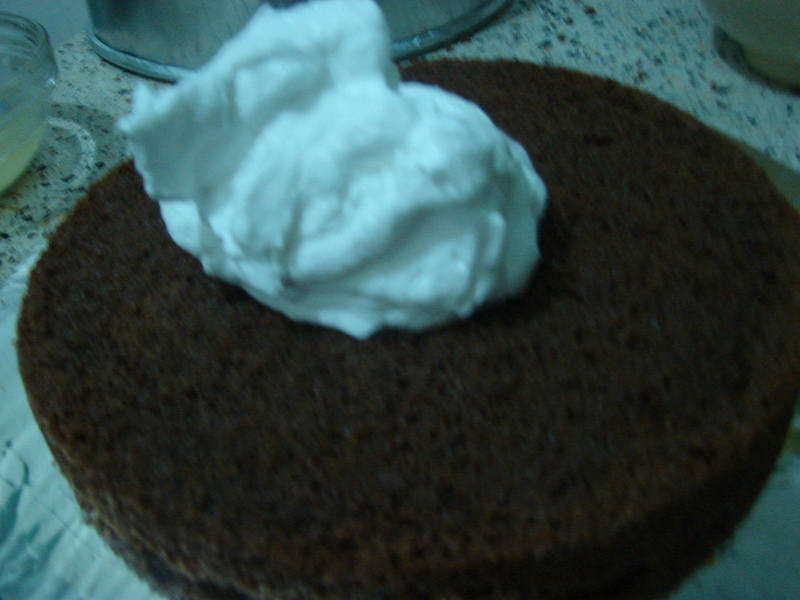 Put a dollop of whipping cream on the surface of the bottom layer. 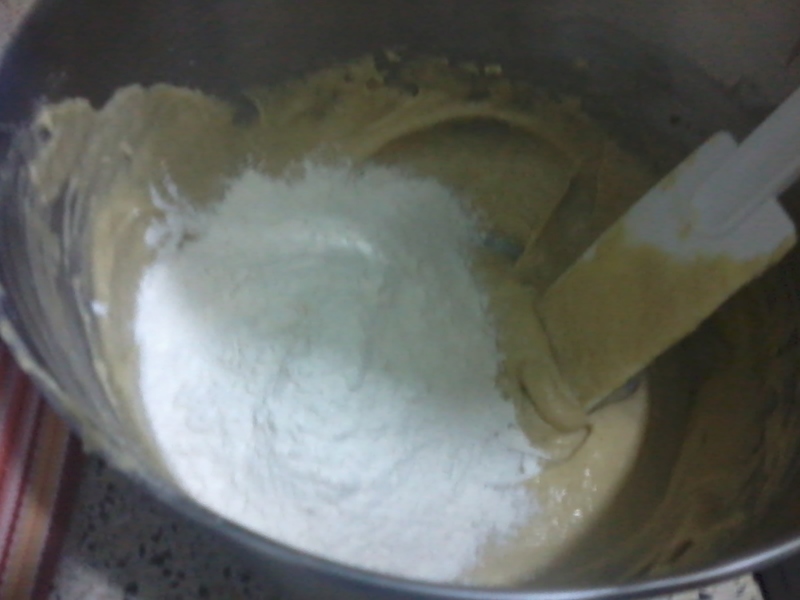 Spread it evenly on the surface of the cake. Spread the strawberries. I had some leftover cherries so I threw them in. Repeat the steps for all the layers. 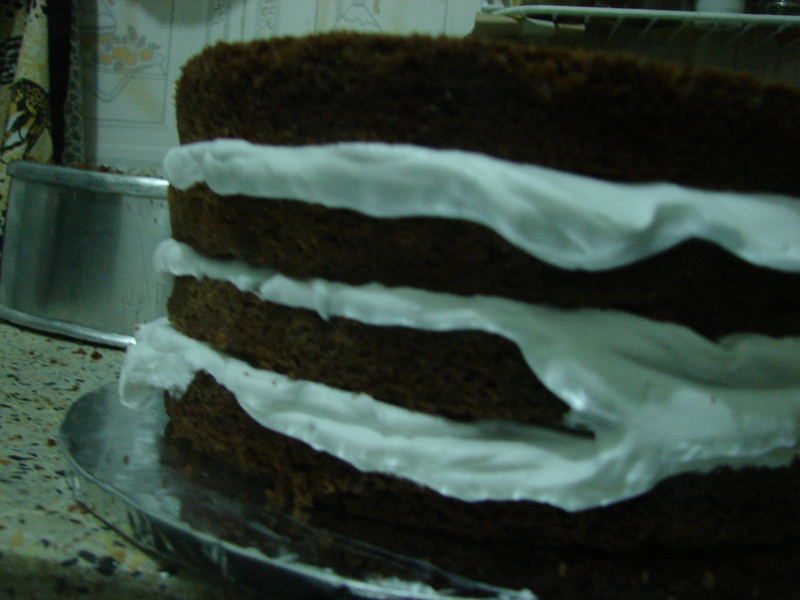 After filling in all the layers, coat the entire cake with the whipping cream. It doesn’t need to look perfect since you will pile on chocolate. When it comes to putting the chocolate, you can be as creative as you want to be. 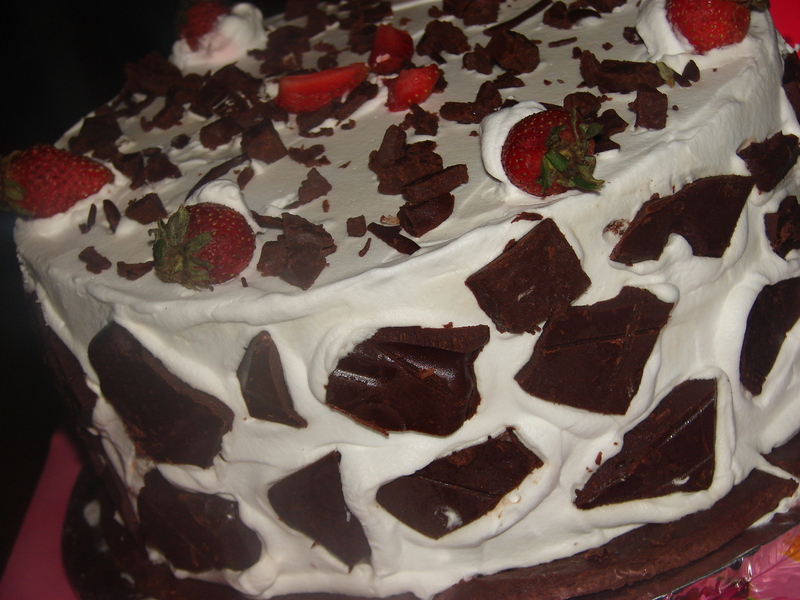 You can choose to grate the chocolate and sprinkle it all over the cake. 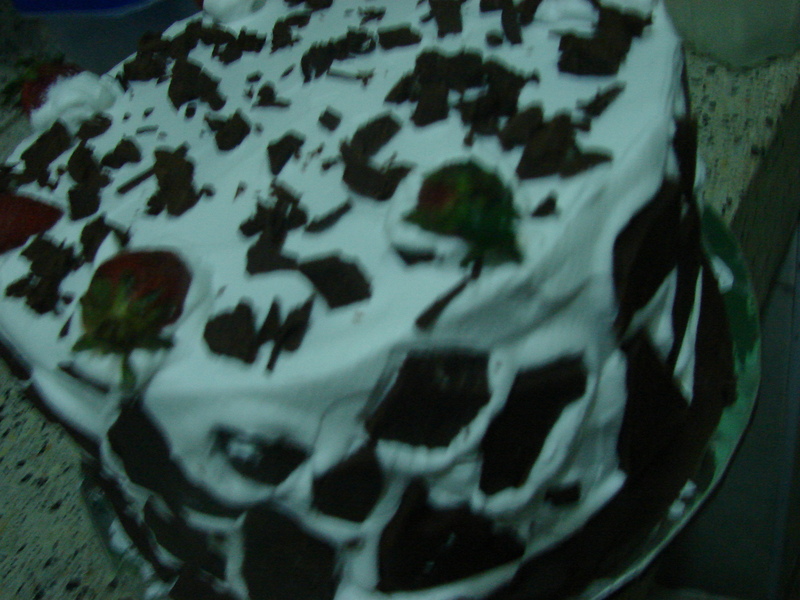 If you are in a hurry, like I was, you can cut the chocolate into chunks and stick around the cake. 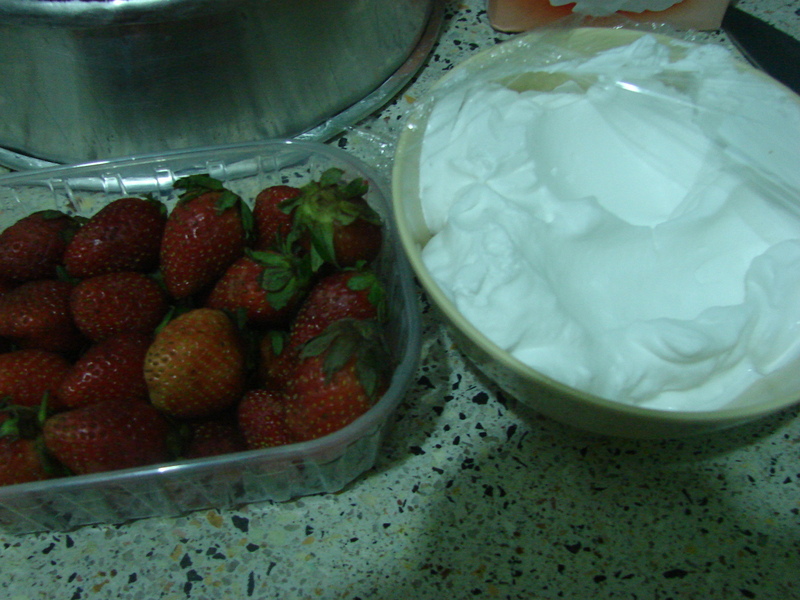 Don’t worry they won’t fall off, the whipping cream acts as the glue. 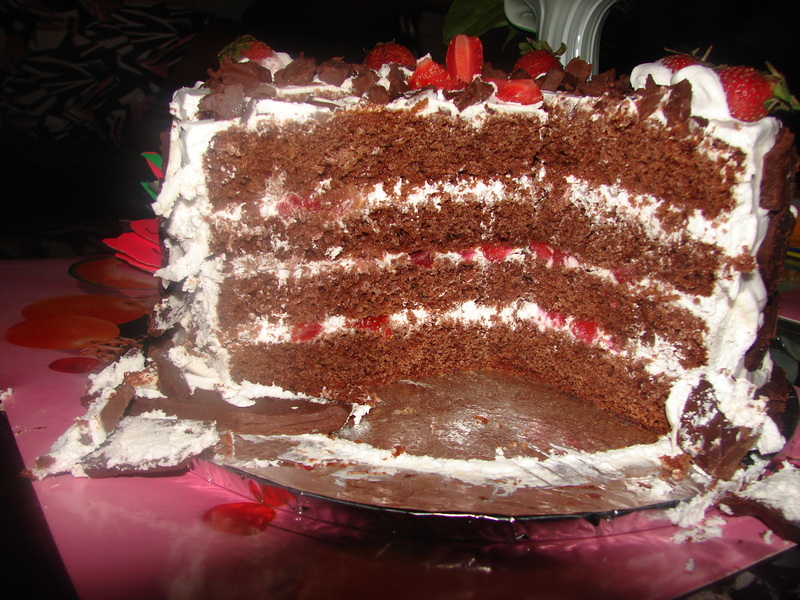 Decorate the top with smaller pieces of chocolate then make a border on the cake with whole strawberries that are slightly dipped in whipping cream. 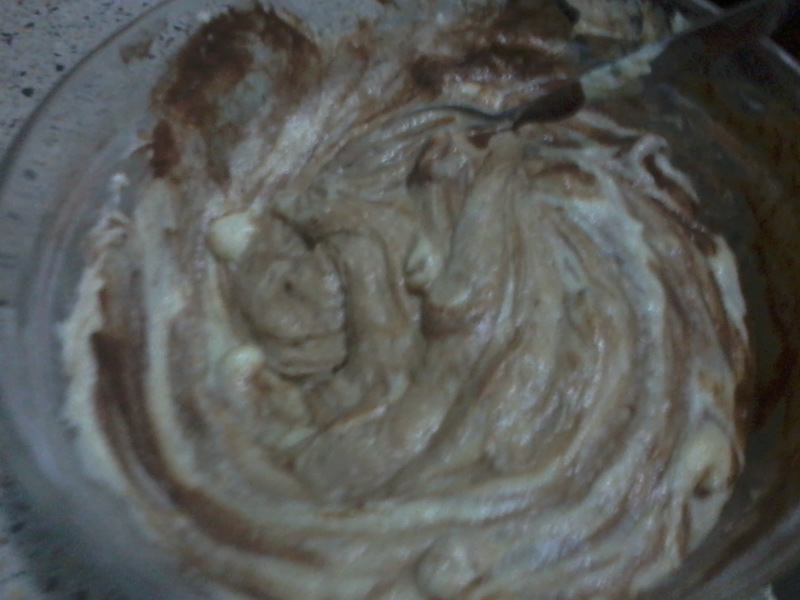 By the way I used homemade chocolate. 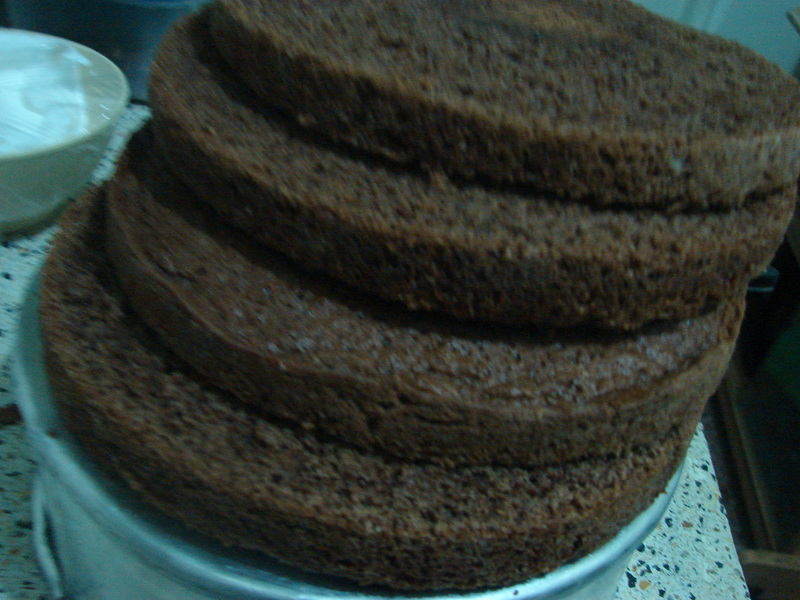 The cake looks so huge, I guess it’s a 1.5kg. 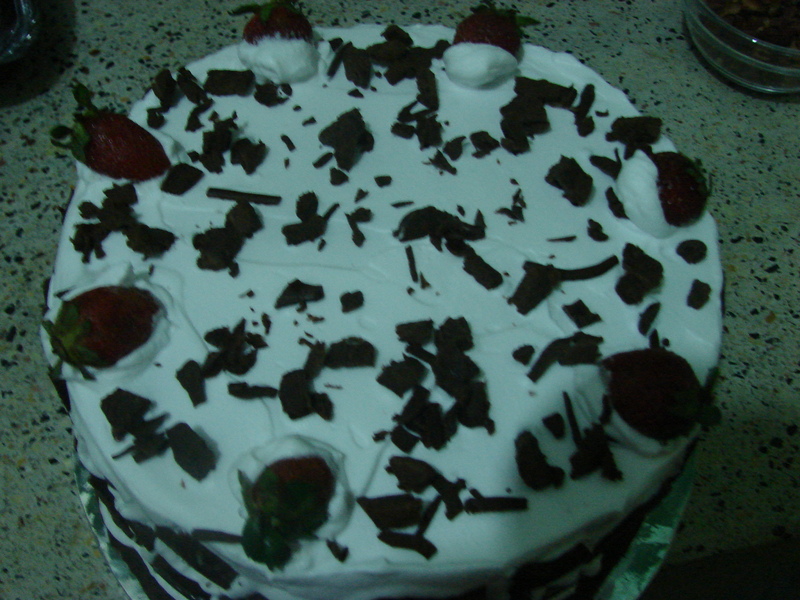 When it got to cake time, I was anxious to see how the layers would look. Then the bride to be sliced the cake. This cake may take long to prepare but, trust me it’s worth the wait. So go on try it out, in case you don’t succeed on the first attempt don’t give up there’s always a second, third or fourth try. 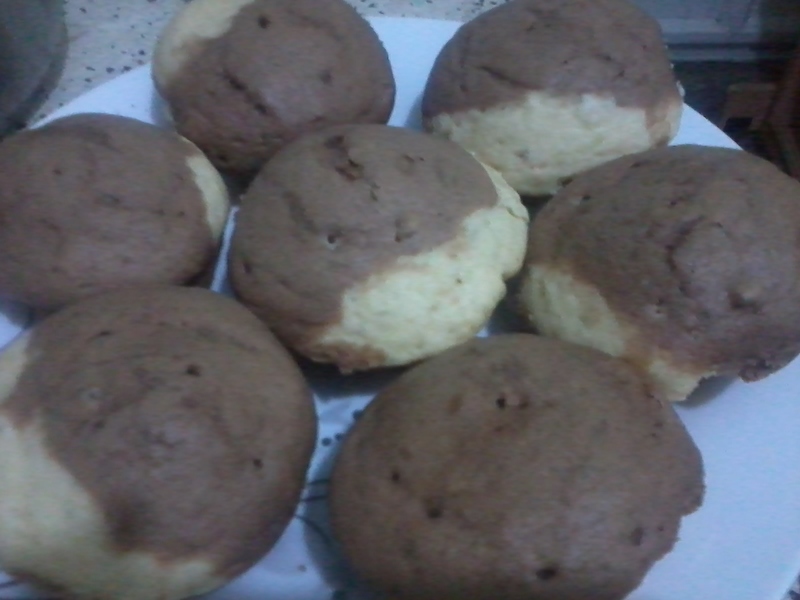 I just felt like baking, plus I had some leftover yoghurt and I decided I’ll use it instead of milk. Start by greasing your muffin tin and remember to pre heat your oven at 350 degrees F (about 175 degrees C). 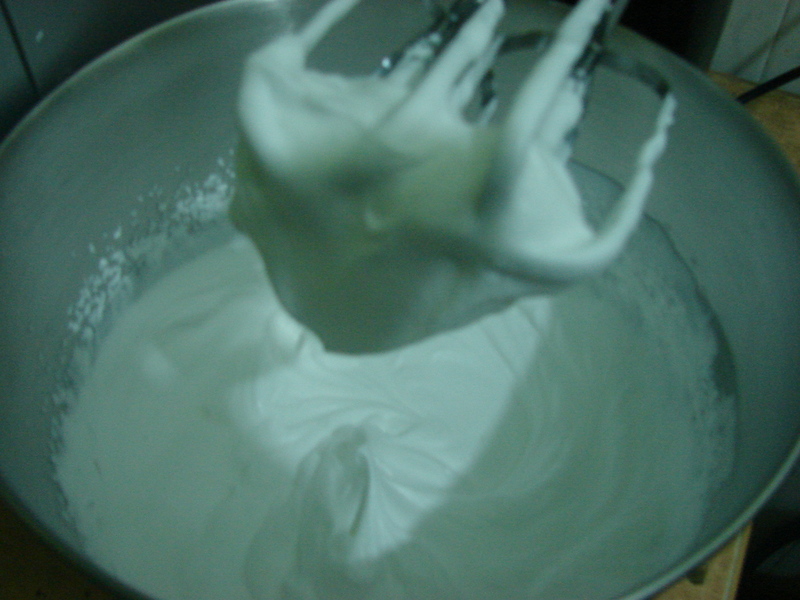 Using a wooden spoon/ spatula cream your sugar and margarine. 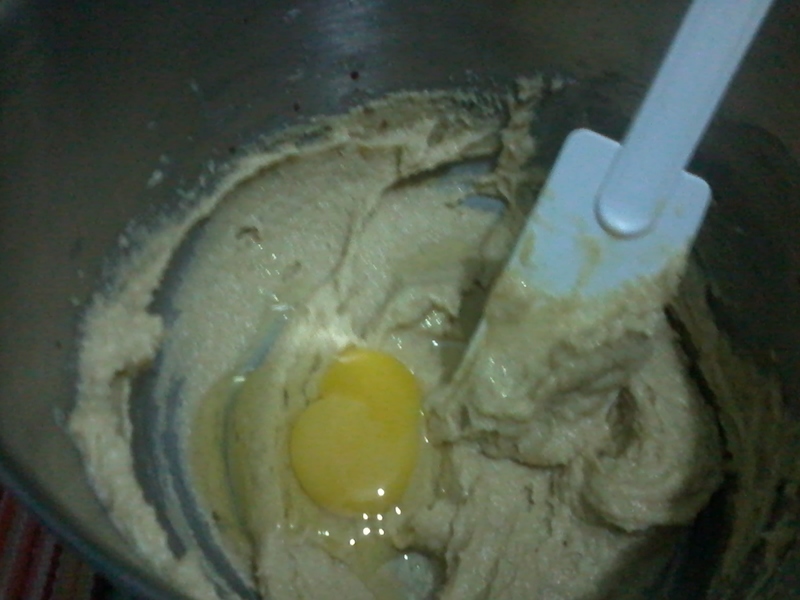 Then add in the eggs one by one. 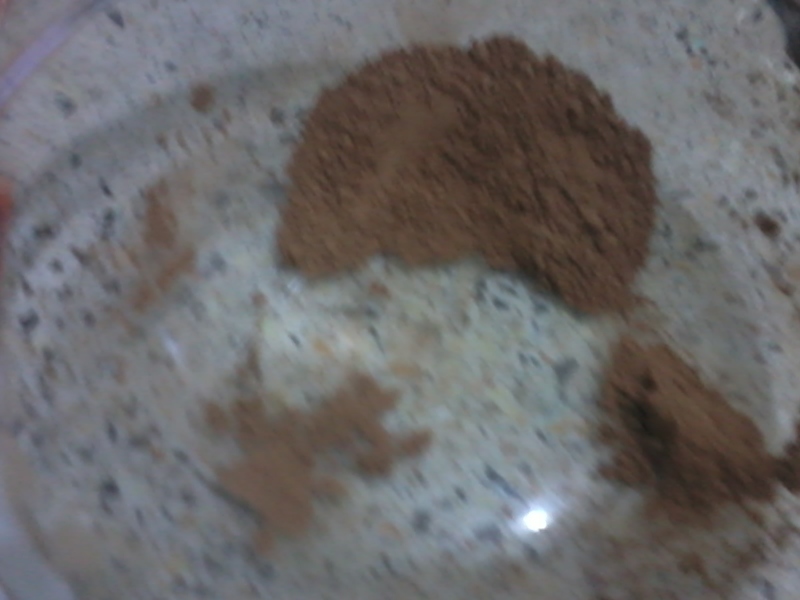 In another bowl combine the dry ingredients except the cocoa powder,cinnamon and sultanas. 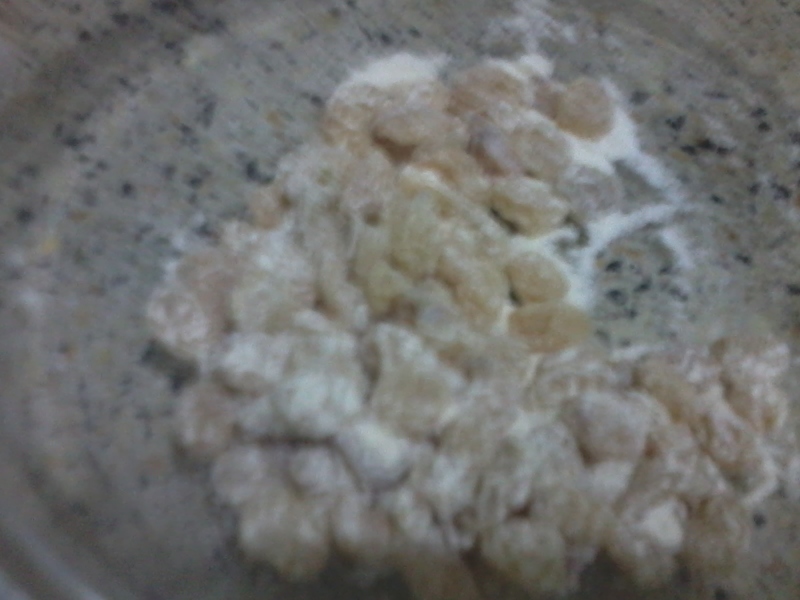 Add the flour mixture to the creamed sugar in three parts alternating with the yoghurt. Take the sultanas and coat them with about a tablespoon of flour. This will ensure that they won’t sink to the bottom of the muffins while baking. Fold them into the cake batter. 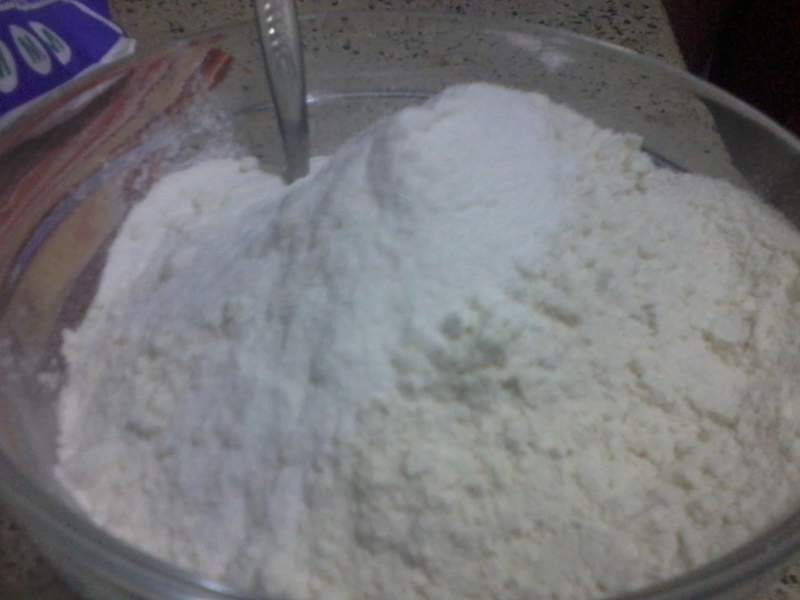 In case the batter is a bit think add about 1/4 cup of water. 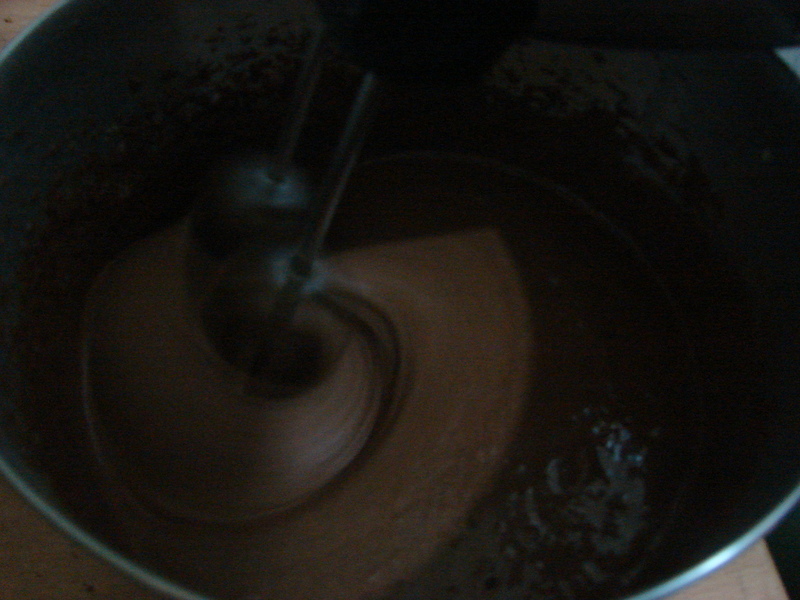 In another bowl, mix the cocoa powder,cinnamon and nutmeg. 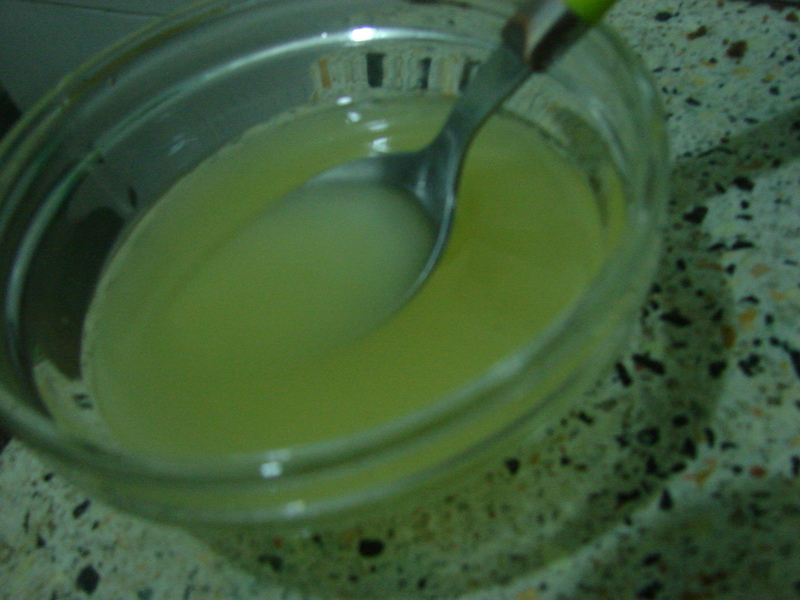 Mix with about 2 tablespoons of water to get a semi thick paste. 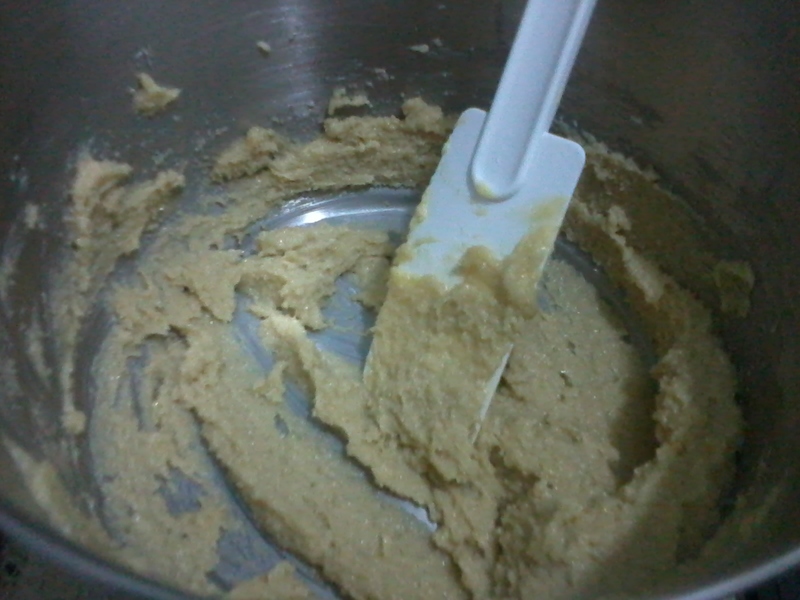 Add half the batter into the paste and stir. 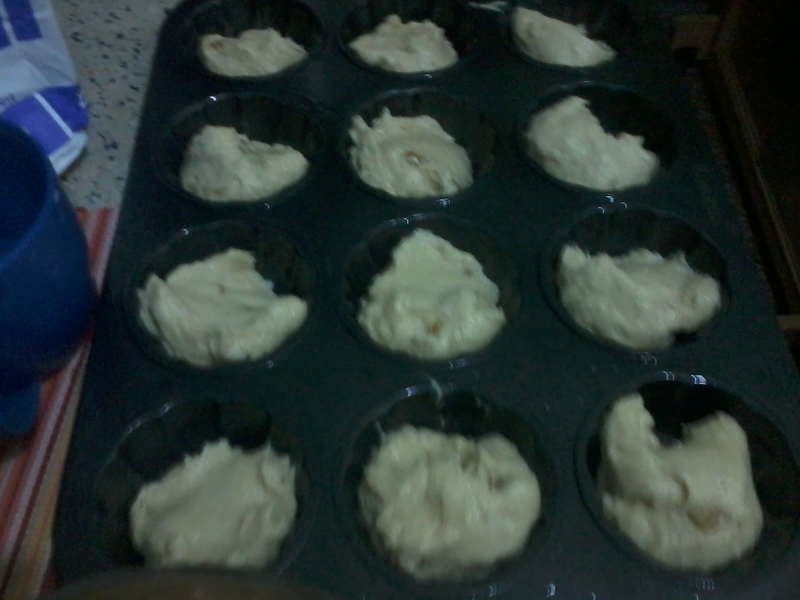 Pour out some of the vanilla better into the muffin tins, about a quarter in each tin. 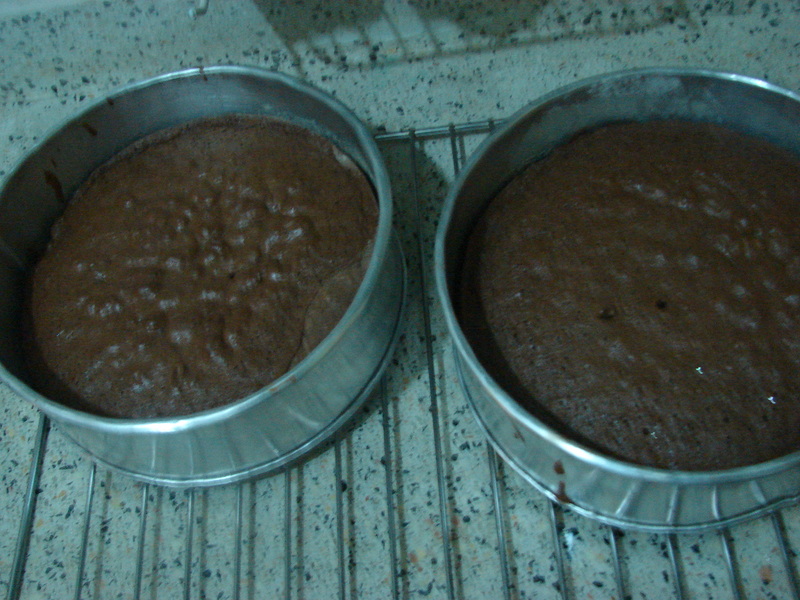 Bake for about 20-25 minutes or until a toothpick inserted in the centre comes out clean. 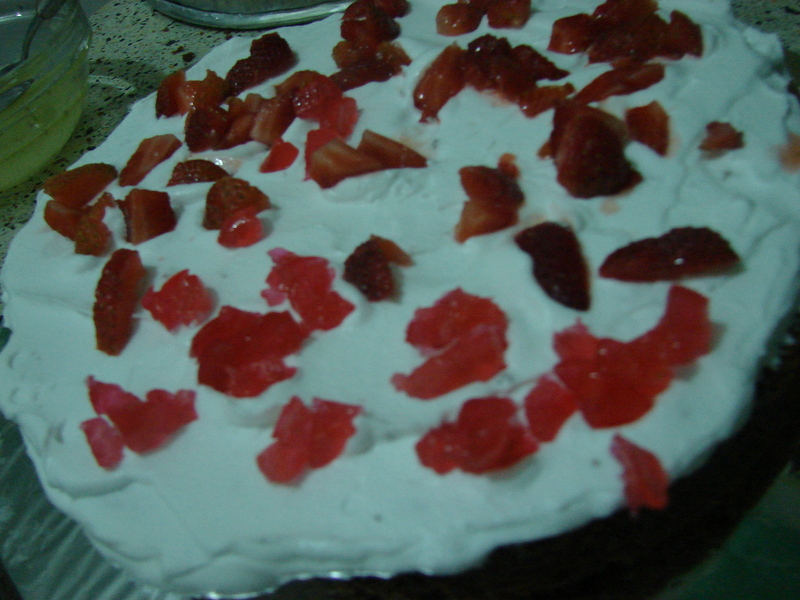 Tasty and pretty moist, I guess it’s because of the yoghurt. Perfect for an afternoon snack with some tea or hot chocolate.